Android Development Company. We're Android Developers. Android apps for any display. Smartphones. Tablets. Google Play. We’re an Android development company providing clients with access to our award-winning, full-service Android developers. Our Android development experts connect UI/UX design and Java development skills to create stunning Android mobile apps. Chepri® is an Android development company that designs and develops custom Android mobile applications for both smartphone, kiosks and tablets. Maximum downloads, positive reviews from satisfied Google Play users… Chepri® knows Android apps and utilizes best-in-class tools to get your app idea into the market. Chepri® can even develop an Android strategy for your app with a focus on monetization. Android devices are the most widely used and offer end-user interface for games, productivity, media and socially driven applications. All you need is your Google Developer’s license and we can get an app deployed in hours. As award-winning Android developers, Chepri® designs and builds Android mobile applications for smartphones and tablets. In our combined decades of experience as an Android mobile app development company, we have built smartphone and tablet products for entrepreneurs, marketing managers, and corporate directors. Every business spanning every enterprise. No matter what your industry, Chepri will work right alongside you to help set realistic goals while streamlining the Android development process. Before we begin a project, we set expectations of what the Android development journey will look like for our clients. This always includes a thorough investigation of requirements and objectives. From tablets to smartphones, our Android developers can create an app for your organization generating increased productivity and revenue. Chepri® can make it happen. Working with an Android app development company like Chepri® will create a better experience for your organization, and the users of your app. Our team of designers and developers are experts when it comes to building Android apps using best-practice UI/UX, Java programming, and assisting with Google Play submission. We also possess a wealth of knowledge of how Android apps can benefit organizations. We have helped to clarify objectives for clients, before constructing an Android app, hundreds of times. 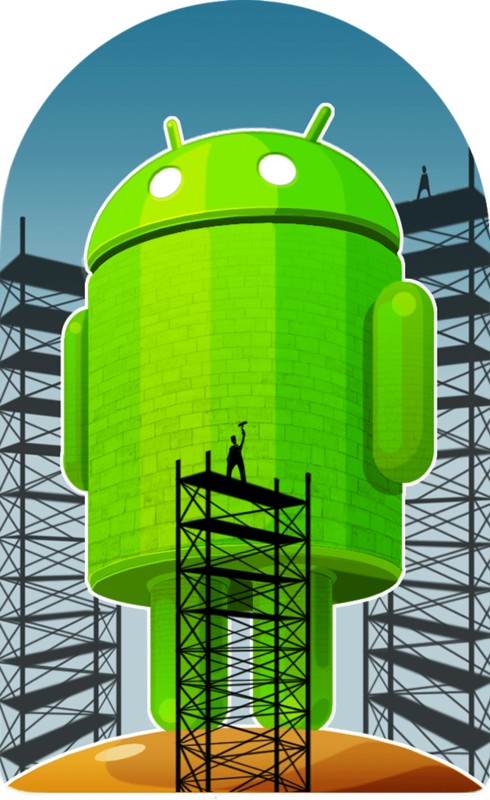 Check out Android developer resources on the Android developer program site, and then some additional info on Android monetization options.